Truth be told, I’ve never met a monkey bread I didn’t like. The whole idea of monkey bread makes me smile, especially when it comes to the pulling apart and eating phase of the process—what fun! I love monkey bread so much I decided to play around with savory flavors, figuring this could only add to the fun and boy, was I right! My savory parmesan and garlic monkey bread recipe is inspired by those delicious garlic knots that many East Coast pizzerias serve. 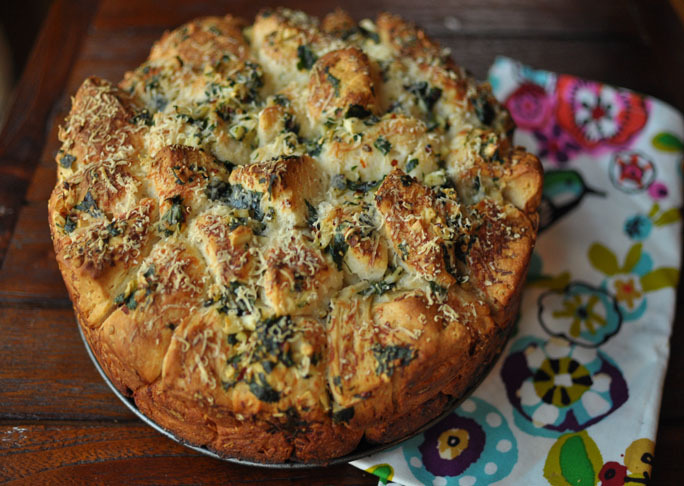 it’s great for a crowd and an awesome alternative to traditional garlic bread. Step 3: In a small saucepan, melt butter. 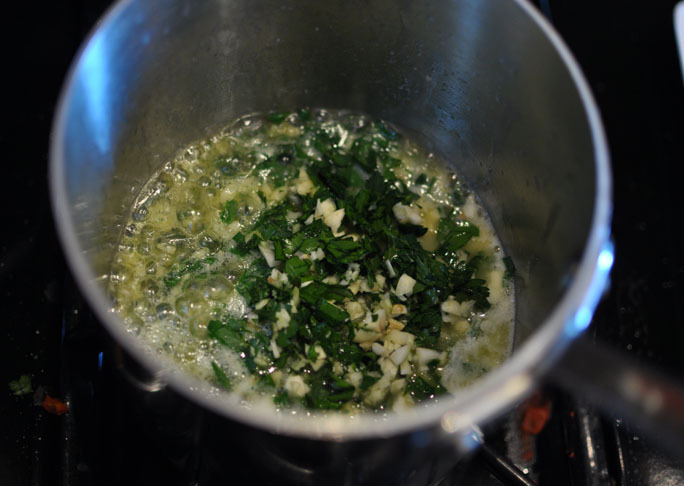 Step 4: Add chopped parsley, garlic and red pepper to the butter and cook for 1-2 minutes, just to perfume the butter. 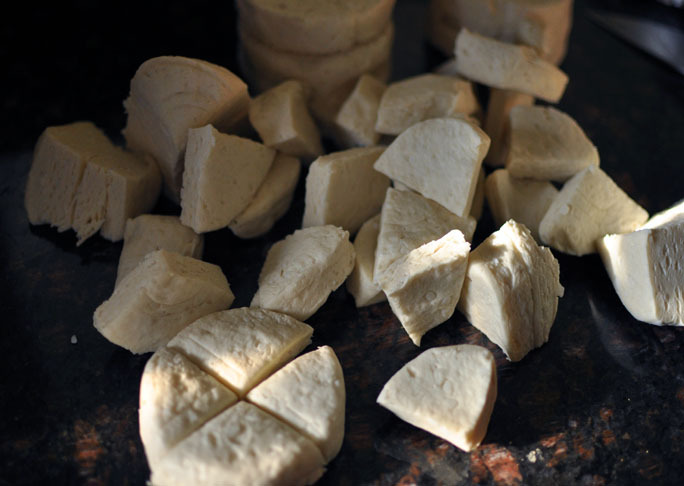 Step 5: Arrange half of the biscuit pieces on the bottom of the prepared springform pan. Pour half of the butter mixture over the biscuit pieces. 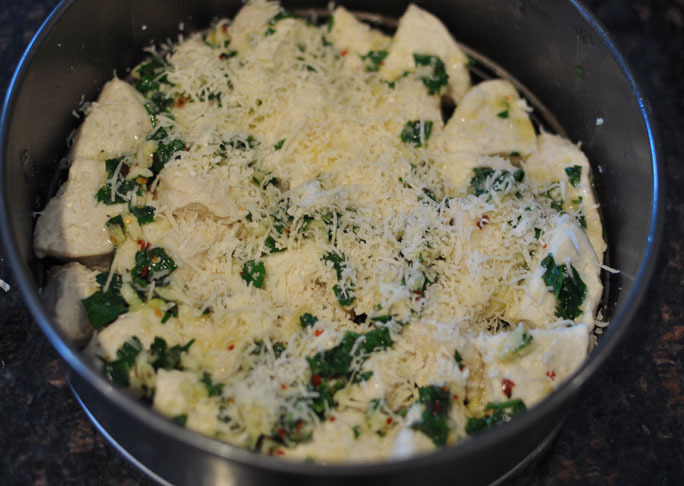 Sprinkle with half of the parmesan cheese. Cover with remaining biscuit pieces and remaining butter mixture. Finally, top with remaining parmesan cheese. Step 6: Place springform pan onto a rimmed baking sheet (this will help catch and drips and also make it easier to remove pan from oven). Bake for 30-35 minutes or until monkey bread is golden and dough is cooked. Cool in pan for about 5 minutes before un-molding onto a platter. Serve warm.